The United States and Cuba reestablished diplomatic relations early on July, 20, 2015. 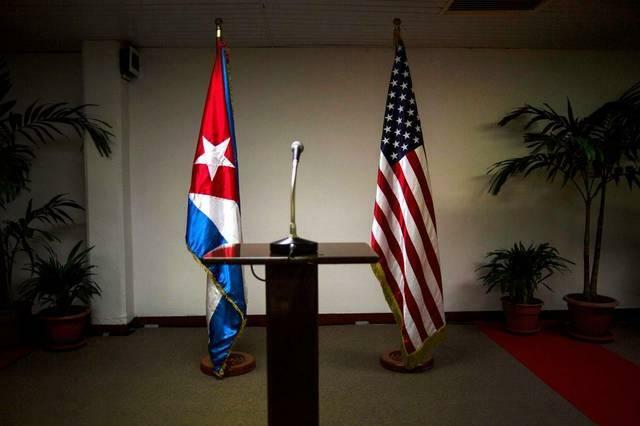 In this Jan. 22, 2015 file photo, a Cuban and U.S. flag stand before the start of a press conference on the sidelines of talks between the two nations in Havana. “The year 2015 has seen more firsts than in 50 years,” says Tom Hudson, WLRN’s Florida Roundup host. He spoke with WLRN’s Tim Padgett and Fusion’s Latin America editor Tim Rogers to discuss the pathway to normalizing U.S.-Cuba relations, the migrant crisis in Central America and Venezuela’s crumbling economy. History was made in September when the first presidential meeting between the United States and Cuba in more than 50 years on U.S. soil. What did this mean for both countries? Lifting Cuba from the State Department’s list of Countries that sponsor terror, internet making its way to Cuba and even commercial airlines having talks to have more flights to and from both countries. Also, a more civil cooperation. Around the same period, Venezuela’s political and economic situation worsened and in December elections, the opposition won throwing out the Chavista regime. What is the United States involvement in Venezuela and in other Latin American countries? 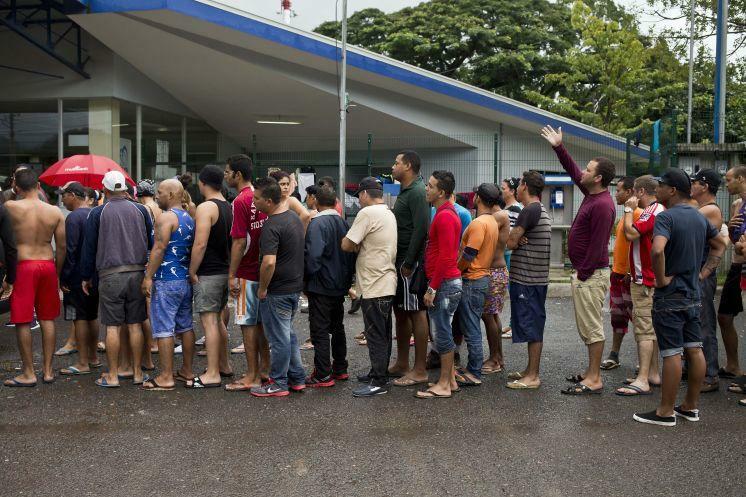 Social Media Helps Drive Historic Cuban Exodus to U.S.
PENAS BLANCAS, Costa Rica — As summer began to bake the central Cuban city of Sancti Spiritus, Elio Alvarez and Lideisy Hernandez sold their tiny apartment and everything in it for $5,000 and joined the largest migration from their homeland in decades. It’s been almost a year since President Obama announced the U.S. was normalizing relations with communist Cuba. 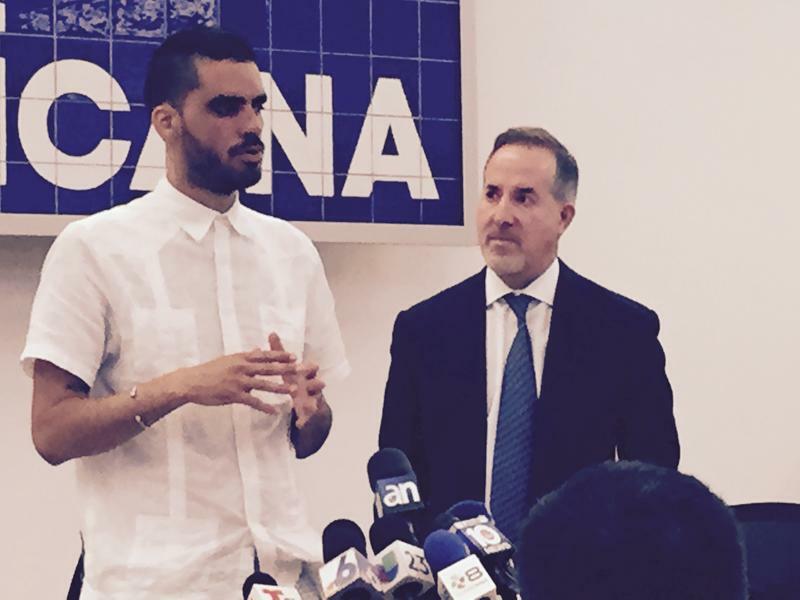 Some Cuban dissidents embrace the move. But others - including artist Danilo Maldonado, known as "El Sexto" - say it’s done little to improve human rights on the island. “El Sexto" (which means "the Sixth" in Spanish) just got out of prison in Cuba and is visiting Miami this week to convey that message. Since President Obama opened a door to Cuba, there's been progress in the past year. Americans can travel there. The two countries reopened their embassies and have agreed to re-establish commercial air travel. But on the financial front, progress has been slow. 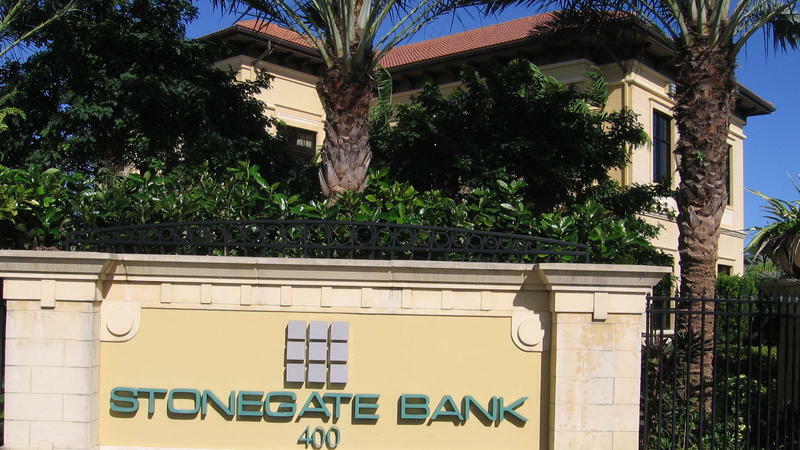 After a year, there's just one U.S. financial institution doing business with Cuba — and it's a small bank in Pompano Beach, Fla.